What is Free Mobile Tracker app? How does Mobile Tracker Free work? What features does free mobile tracker have? How do I install mobile tracker free? Is it legal to use free mobile tracker? Sometimes, we need to track our children or other relatives in order to protect them from different harmful or inappropriate content, chattings, meetings, and other items. In our incredibly unpredictable time overloaded with different types of information not always intended to child’s mind, our children and teenagers need in protection more than ever. Sometimes, we need to track our employees to be confident in their faithfulness or to optimize their work. Let’s find out, how we can protect our children from potential danger or track our employees in the contemporary world. If you have decided to keep up with all the activities, conversations and meetings, that your child or employee performs, you can use free mobile tracker. 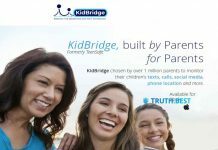 This is software that will help you to protect your child or teenager from harmful content and connections. In terms of its compatibility with a different OS, you can use free mobile tracker app whether it’s iOS or Android Device. This software provides you with an opportunity to track locations, communication via SMS and other messengers, calls, using apps, browsing websites, etc. on the smartphone of another user. Mobile tracker free is a real catch for those people who care about their children and want to provide them with high-level security for free or get new information about their employees that is very important for their businesses and companies. Create an account. For this, you need to enter your e-mail address and password. Install and set up an app for free using the installation video. Log in and start tracking another user. tracking all the events, added to the calendar of your child or employee. Due to a wide range of the possibilities provided by free mobile tracker, you are able to be aware who your child or employee chats, what they talk about, also track places where your child or employee is at this moment, which websites and applications they use, disable access to harmful or inappropriate content to your mind. Initially, you need to create a Mobile Tracker Free account with a valid email address. In addition, you need to get access to the device that you want to track and permission of the device’s owner. Before starting to set up mobile tracker free online, you need to allow unknown sources on your device, if you haven’t enabled it previously for Android <= 7. When installing an application on the device with Android >= 8, this request will appear during the installation. You will need to allow setting up unknown apps. Google protects its users from the applications provided by not the Google Play because Free Mobile Tracker is specified as potentially dangerous. in order to successfully install an application, you need to turn off Google Play Protect. In other cases, you will receive notifications provided by Google Play Protect. It’s time to install your app. For this, you need to log in and download free mobile phone tracker. After the installation of the app, you need to adjust settings. You can select which reports and notifications you will receive, including outgoing and incoming. In addition, you can choose tracking content that a user reads and looking through websites and apps used by a child or employee. After adjusting settings, you need to protect mobile tracker free. Here we are! It remains to log in and start using mobile free tracker. You can use this app legally to track someone’s device if you have received permission from this person. If you want to use mobile free tracker without permission, it’s considered to be illegal. analysis tools that allow generating PDF and Excel reports, statistics in order to simplify tracking and monitoring; this tool is very useful when you want to be aware of that how much time your employee spends on different tasks and breaks, also optimize your employee’s work process. All these benefits should become a serious reason to install an app and try it by yourself right now. Our team's verdict is that free tracker app is a perfect monitoring software compatible with Android devices. Due to a wide range of remote control features and comprehensive analysis tools, it's suitable for parental control as well as office control of employees. Previous articleAuto-Forward Reviews – Can You Check Someone’s Activity Remotely?